Lots of 2018 model year cars are safe, but 62 have been singled out as exceptionally adept at protecting their occupants. And of those, 15 are supposed to be the very safest. 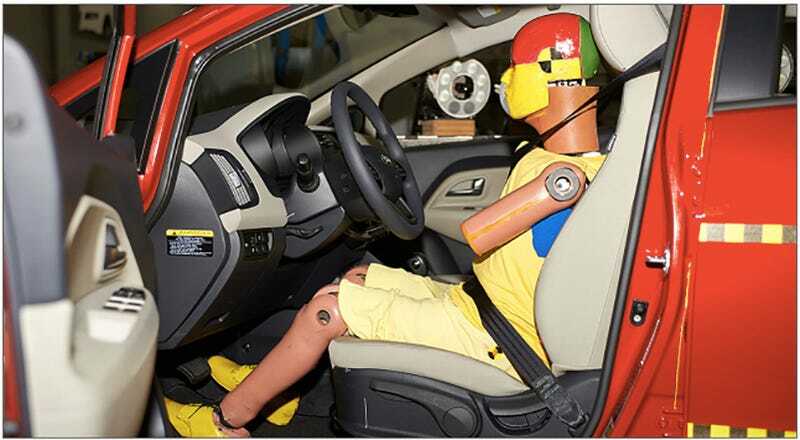 The Insurance Institute for Highway Safety identifies itself as an independent, non-profit research organization that, among other things, rates cars for safety based on crash survivability and avoidance technology. It’s been testing such tech at a facility in Virginia since 1992. This year, the organization has called out 62 2018 model year vehicles as safer than others based on criteria that’s explained in this video. Cars are rated by their performance in “high-speed front and side crash tests” including passenger-side impacts and small overlap head-on crashes plus evaluations of roof strength, rollover resilience, seats and head restraints and how well the headlights help you see. You can dig into how well any particular car performed in these gauntlets on IIHS’s website, or you can just look at the list of top performers here. I’m not sure about the IIHS’s classification of the Honda Ridgeline as a “large pickup truck” and I’m a little surprised to see safety-touting Volvo is absent from the top list. Anyway, regardless of where you’re driving or who your passengers are, safety is important. That makes these awards objectively a little more valuable than the gold stars the rest of us are giving out for cars that just look, sound and feel cool.